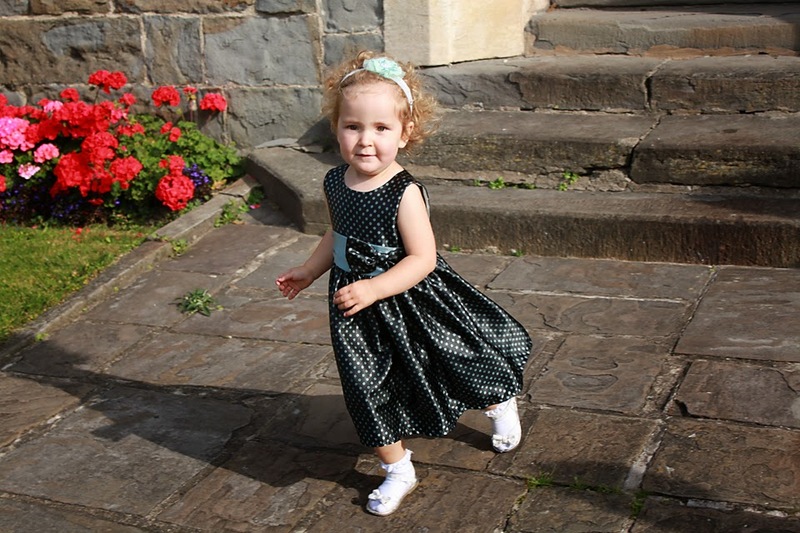 This weekend we traveled down to South Wales to spend the weekend with my family for my niece's Christening. Since it's 5 hours away, I decided to go down on Friday and see my parents and brothers before the Christening. Living so far away, I don't get to spend much time with them so it was great to catch up. We didn't end up leaving until 2pm so by the time we arrived, it was just after 7. My brothers now all live away too, but they were all arriving back home that night, so when they all arrived my parents ordered some dinner in and we just had a quiet night in catching up. On Saturday my parents decided to take us all for lunch at the Sosban restaurant in Llanelli. I had never been before but they have told me how great it is time and time again, so I was really excited to try it out. I don't know what to say other than, amazing! Since we hadn't made a reservation, the restaurant was full. We were told we could take a table outside and with the sun shining, we were more than happy. 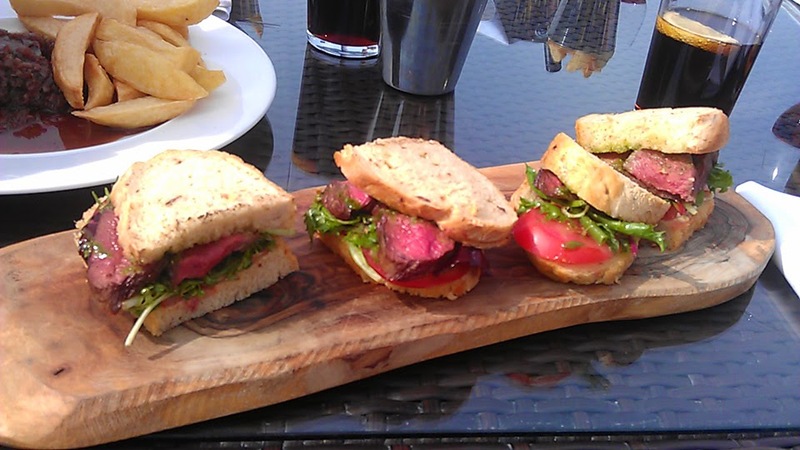 I ordered the steak sandwich and I haven't had anything quite like it. There was no way I could eat it all, but my brothers were more than happy to help me out! Sorry for the bad picture quality. My phone isn't the best at taking pictures and I didn't take my camera with me. Really wish I had though! I had a surprise later that afternoon with a visit from my nieces. It's always so much fun playing with Seren and I love watching Mia grow up. It was only a month ago that I last saw her but she's changed so much. She's sitting up, holding her weight herself, it's crazy to see how quickly they grow. Next came the big day, Mia's Christening. Since I'm her Godmother, I bought her some beautiful gifts. 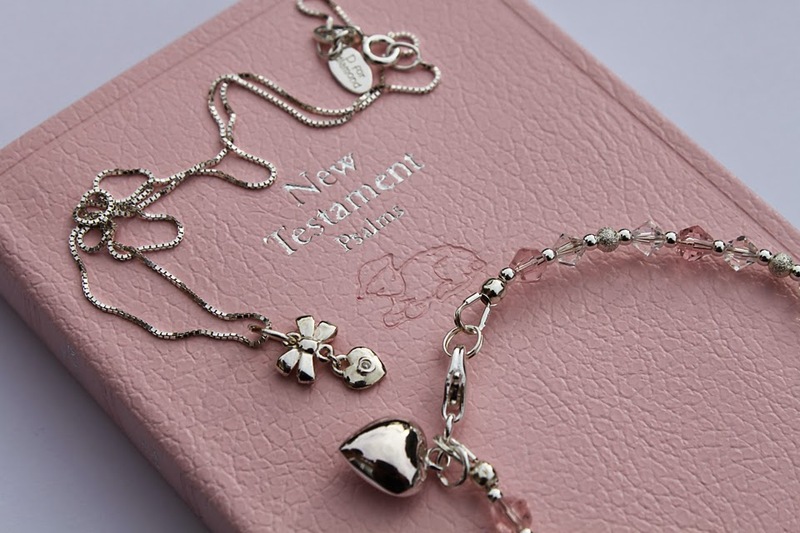 She of course needed a pink bible as she's a little princess, and I wanted a gift that she could keep forever. I bought her a D for diamond baby necklace, and then I made her a sterling silver bracelet with pink and clear swarovski crystals. Whilst we waited for Mia and big sister Seren to arrive, I got to spend some time with my other Goddaughter, Megan Lily. This little cutie also grows up so much every time I see her. I swear she's 2 going on 20! I took some pictures of her as she danced around outside the church waiting for everybody else to arrive. Then Christening itself was great. My brother did a reading, and then we became Mia's Godparents. I didn't take any pictures inside the church as they had a photographer doing them. 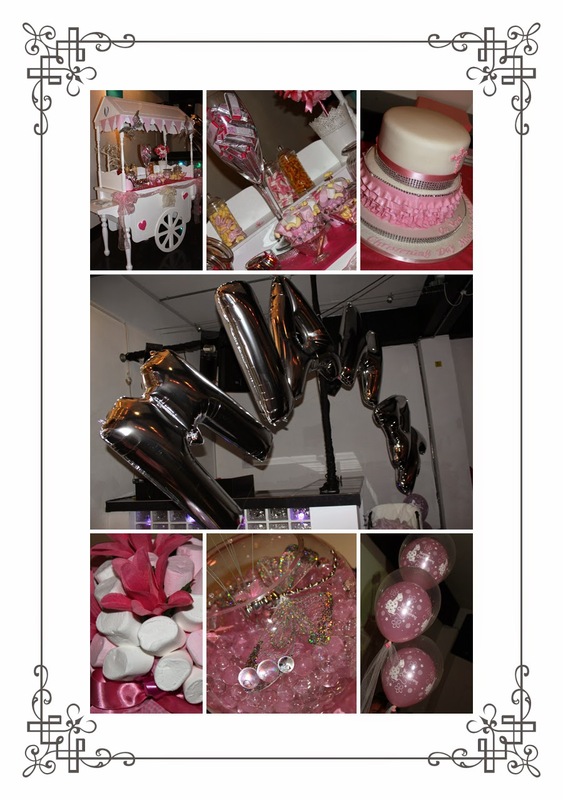 I did however get my camera out as soon as we arrived at the venue for the after party. Here are a few of the room. How beautiful is it! 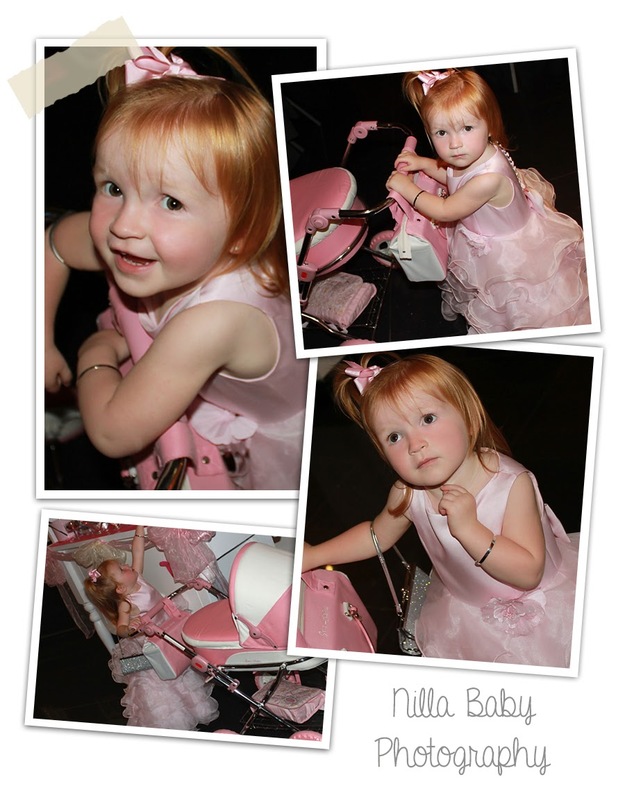 I thought I'd edit some pictures of my little niece Seren in her beautiful Princess dress! She's growing up way too fast. Then last but certainly not least, baby Mia Haf! 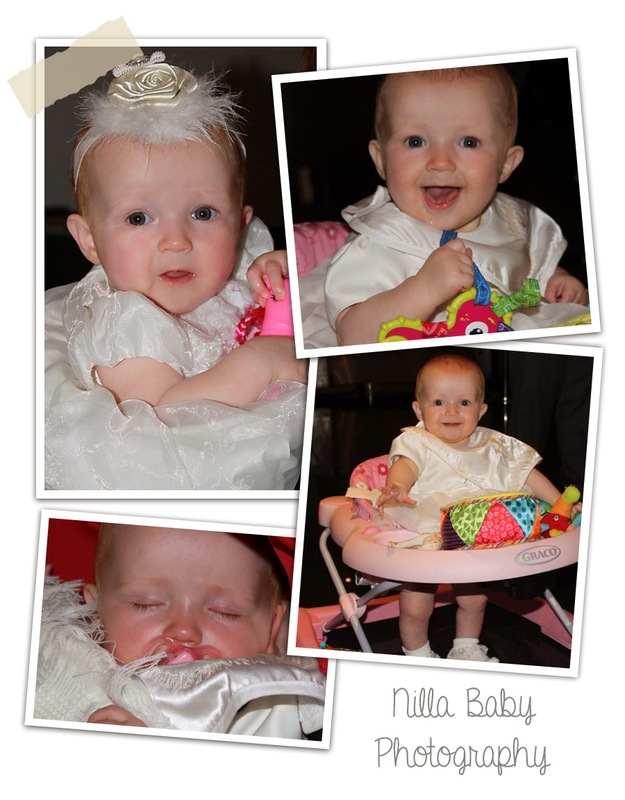 She looked absolutely stunning on her Christening day. Unfortunately by the time I got my camera ready to take some pictures, she had taken a nap, but that's ok, I took plenty of others when she woke up. I had a brilliant weekend and I can't wait to see them all again soon!